CBS finally dropped a full length trailer for Star Trek: Discovery last week revealing a lot of the aesthetics of the new series. While many were ranting about the Klingons, I was more interested in Star Fleet’s fashion choices. I can’t speak to Discovery’s plot or characters, but I certainly have an opinion on its look and it is… bland. The most underwhelming thing about it are the Star Fleet uniforms, which are all one color now: blue. Science fiction has had a thing for blue, tight collared uniforms for nearly thirty years now. Rather than embracing the diverse palette Star Trek has mostly been associated with, like the JJ Abrams films did, Discovery seems to be jumping on an overcrowded bandwagon. I can’t say I’m thrilled. Discovery also has to contend with sets and ships that look wildly out of place with the era they’re supposed to be in. Ten years before “Kirk and Spock” is “Pike and Spock”. Fifty years later, the original Enterprise bridge stands out as a design classic – simple and functional, yet colorful and energetic. 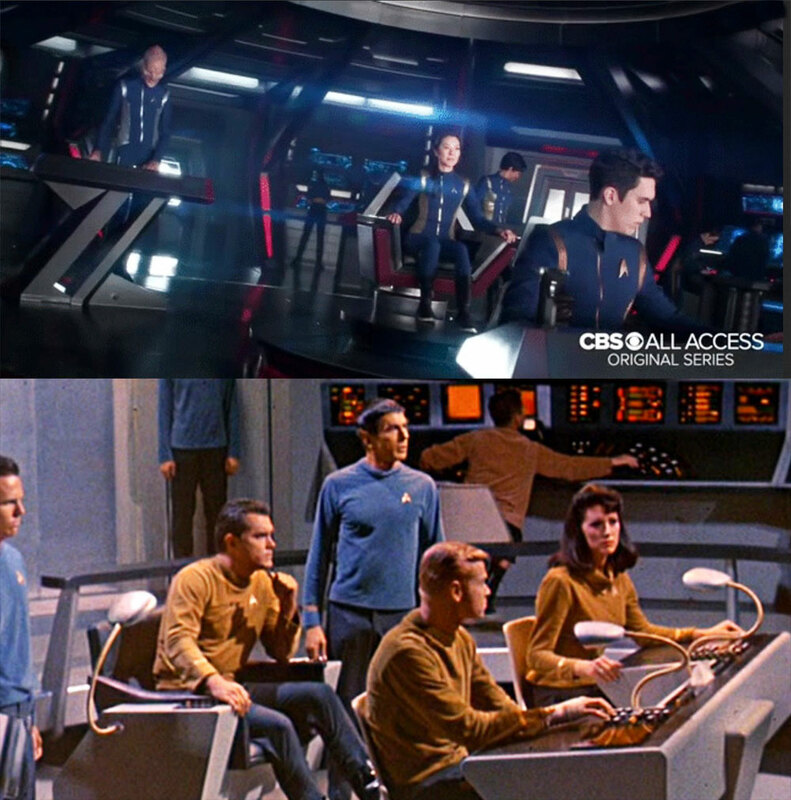 The Discovery bridge looks like every other grey, dark, over-designed, blue-lit ship set we’ve see many times before. People like to crap on the JJ films, but they really stood out, visually, from everything around them. So far, Discovery looks incredibly generic. And please don’t say, “But Axanar!” Just no. Good call. I was a bit underwhelmed with the color palette and overly designed bridge too. But we’ve only really seen the USS Shenzhen. Discovery hasn’t been shown yet. There may be a lot more coming. This may be a bridge from the Enterprise era to the more colorful ones we are familiar with. I’ve never honestly been a fan of the bright, color-coded uniforms. They’ve always looked cartoonish, and less than functional. 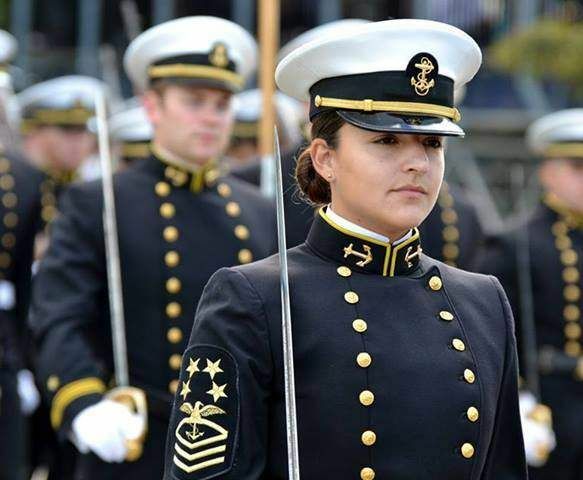 The point of uniforms is to make everyone look, well, uniform. These are a lot closer to what actual uniforms used by militaries/navy/police around the world look like. These uniforms aren’t brilliant, but they’ll do. My favorites were the ones used in the films with the original cast. The bridge looks a bit dark, but otherwise fine to me. The Klingon redesign is weird, but we’ve had three different versions of the Klingons so far (TOS era, TNG era, Abramsverse), with a slightly lame explanation as to why they look different, so I’m not too worried about it. We’ve even had some Klingons in-between the two versions (Undiscovered Country), and some that changed forehead ridges in the same series (Worf). Different people making the shows, different design aesthetics. I can get over it. Also, it’s Starfleet, not Star Fleet. You mean the bellhop outfit? This idea of “realism” – uniforms looking like what’s used in the real world – doesn’t make a whole lot of sense on a number of levels. For one thing, science fiction, Star Trek in particular, is fantastical. Why would you want to stifle the creativity of the fantastic with mundane reality? That shouldn’t be a benchmark for success. And if uniforms like Discovery’s and TWOK are striving for realism they’re failing. I love to point out Roddenberry’s military record a lot because it’s so relevant to what Star Trek is. He understood the military well enough to infuse the show with accurate touches. One being that military uniforms aren’t really that uniform. Have you ever seen the flight deck of a carrier? It looks a lot like the uniforms on TOS and TNG. Bright and easy to spot. Everyone’s function is instantly recognizable. So, in actuality, those are “realistic”. One thing that the bellhop and Discovery outfits have in common, besides Nick Meyer, is the fact that they’re uncomfortable looking and overly ornate. All that gold, tight collars, and jangly bits. They’re dress uniforms, not something you’d wear to run through corridors in an emergency or really just do your job. In fact, tight collars and gold is exactly what TOS and TNG used in their dress uniforms. If you want total realism, TMP’s were probably it. The short sleeve version especially. Does that make you like them any better? And, really, this isn’t about any of the above at all. It’s about a trope that’s incredibly over used. If you’re ok with Star Trek becoming generic sci-fi, that’s fine. Personally, I’m tired of that particular look. How are we going to kill off the red shirts? Wait. Those were Klingons? I thought they were supposed to be Drow, from D&D. I thought they were the Fatu-Krey from Galaxy Quest. So many spines. How does one even sit down?